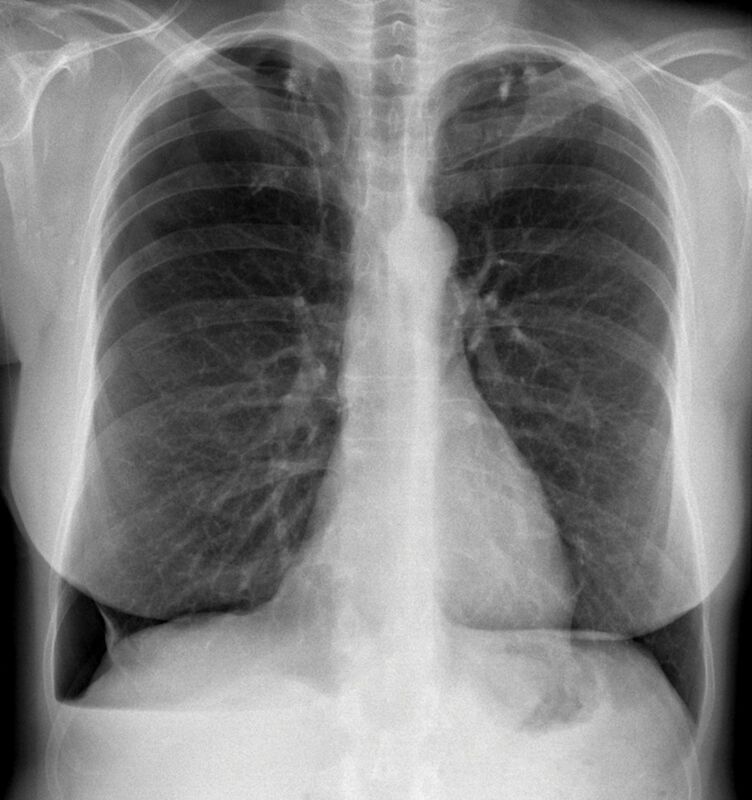 Chest radiograph showing a right pneumothorax. 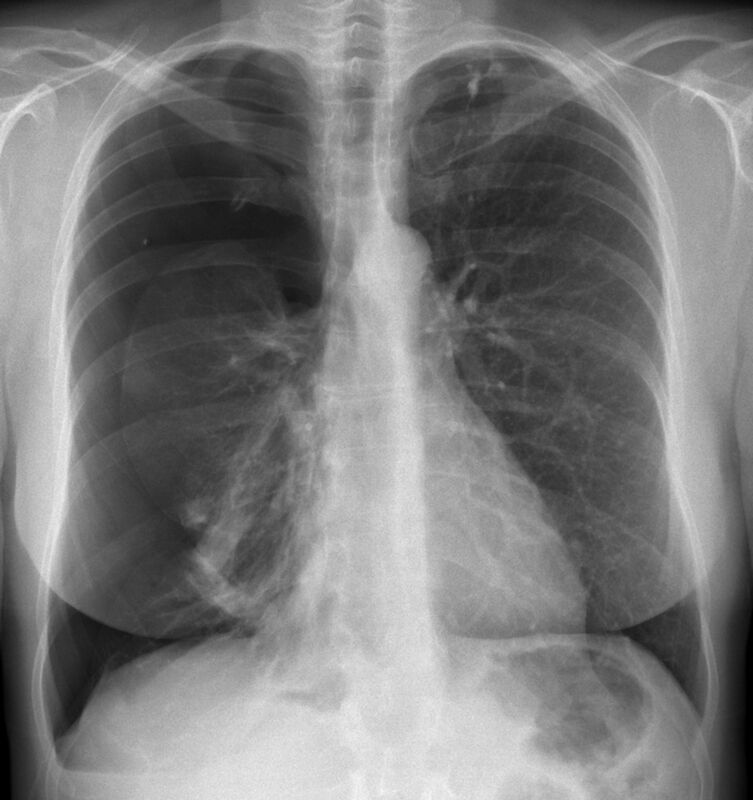 Chest radiograph showing a recurrent right pneumothorax. 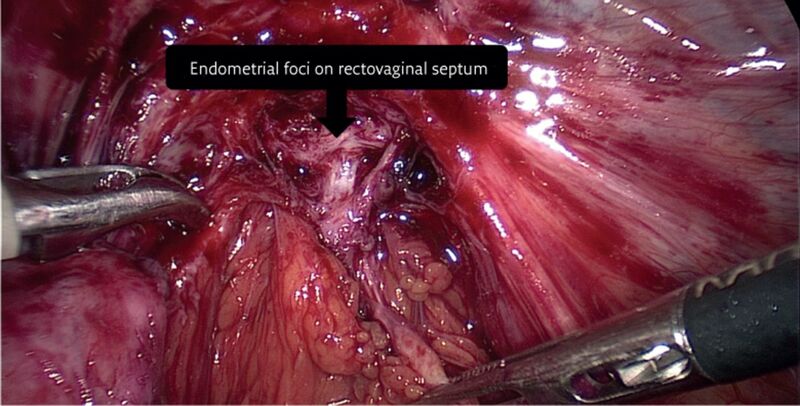 Microscopic examination of reddish lesions identified during thoracic surgery: pleural infiltration by endometrial foci. a) Haematoxylin and eosin (HE), magnifying glass; b) HE, 40×. 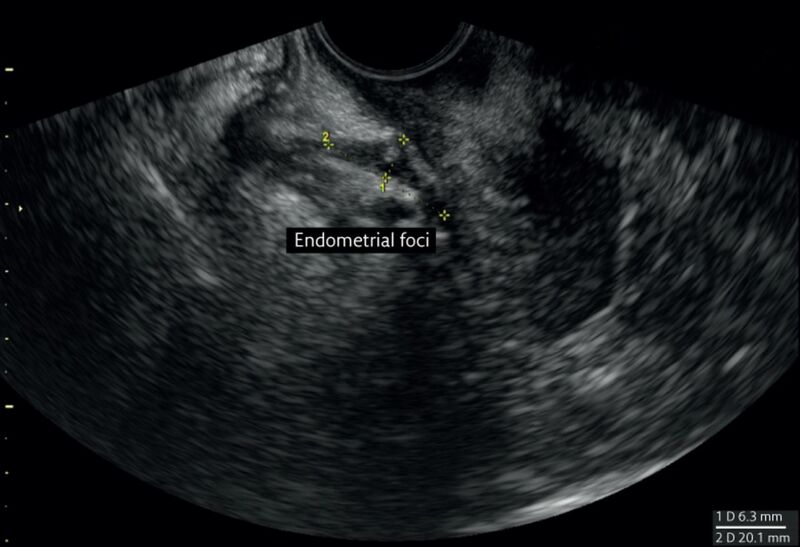 Transvaginal ultrasound showing endometrial foci on rectovaginal septum. Laparoscopic total hysterectomy with bilateral oophorectomy.